This is the Primal Health System approved flu shot. Eat more vegetable. Boil them, bake them, put them in a stew. Whatever it takes, eat more vegetables. Blend them in a vita-mix. Your only as healthy as the vegetables you eat. 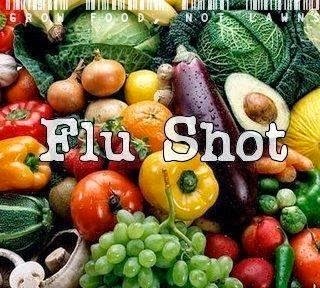 Skip the government flu shot and eat more vegetables.